Chariots of Fire (1981) chronicled the real-life exploits of Eric Henry Liddell (1902-1945), aka "The Flying Scotsman," a world-class sprinter who won the gold medal in the 400-meter track race at the 1924 Summer Olympics in Paris. What made his feat amazing is that he had only qualified to run the 100-meter dash but refused to compete when he learned that it would be staged on a Sunday. You see, he was a devout Christian raised by missionaries who had instilled in their son the Biblical notion that the Sabbath was a holy day of rest. Consequently, he decided to enter the 400-meter contest instead, and miraculously managed to prevail against the best in an event he hadn't trained for. Chariots of Fire was a critically acclaimed crowd-pleaser which landed a quartet of Academy Awards, including Best Picture and Best Original Screenplay. However, it took 36 years for someone to mount a sequel showing what became of the Olympic great in the wake of his glory days. 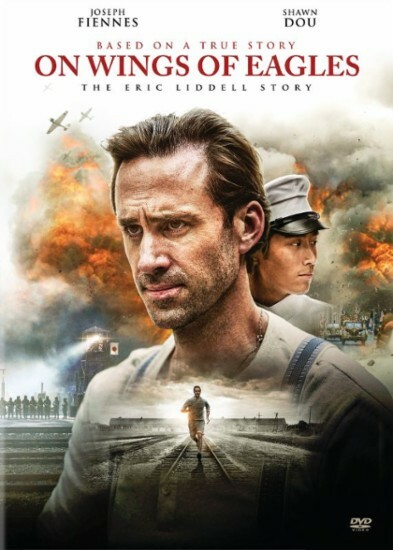 Co-directed by Stephen Shin and Michael Parker, On Wings of Eagles stars BAFTA-nominee Joseph Fiennes (for Shakespeare in Love) as Eric Liddell. At the point of departure, we learn that the unassuming athlete eschewed fame and fortune in favor of returning to China, the country of his birth, in 1925, to follow his calling to do missionary work. He would settle down in Asia and start a family with the woman of his dreams, Florence Mackenzie (Elizabeth Arends). However, their marital bliss would be irreversibly altered by the Japanese invasion of China in 1937. During the occupation, the Liddells were afforded a brief opportunity to leave the country. 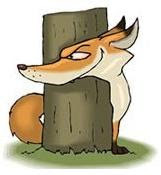 The dedicated minister decided to not abandon his flock, though he did send his pregnant wife and daughters, Patricia (Laura Justine Friis Lodahl) and Heather (Asta Friis Lodahl), to live with his in-laws in Canada. Sadly, he was subsequently interned in a concentration camp where he would suffer terribly before passing away in 1945, just months before Japan's surrender. A bittersweet tribute to a man of great faith who always opted to follow humbly in the footsteps of Jesus Christ, his Lord and Savior.